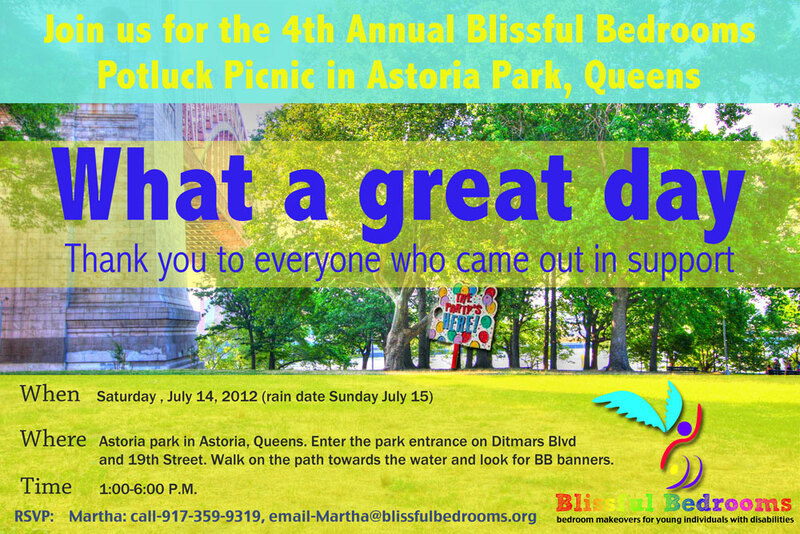 What a beautiful, special, love-filled, glorious day it was at Blissful Bedrooms 4th Annual Picnic in Astoria Park!! Enormous gratitude to everyone who came out in support and contributed to making it so amazing!! Our family is growing and the genuine feeling of kinship and connectedness was clearly palpable yesterday. Anyone observing our group from afar could easily see that this was a united family gathering. It fills our hearts with such joy and contentment to see all of our treasured family members together, OUTSIDE OF THEIR BEDROOMS, having a wonderful time!! We cannot wait until our next get-together!! As always, our events just don’t happen but take lots of planning, pooling of resources and man-power! 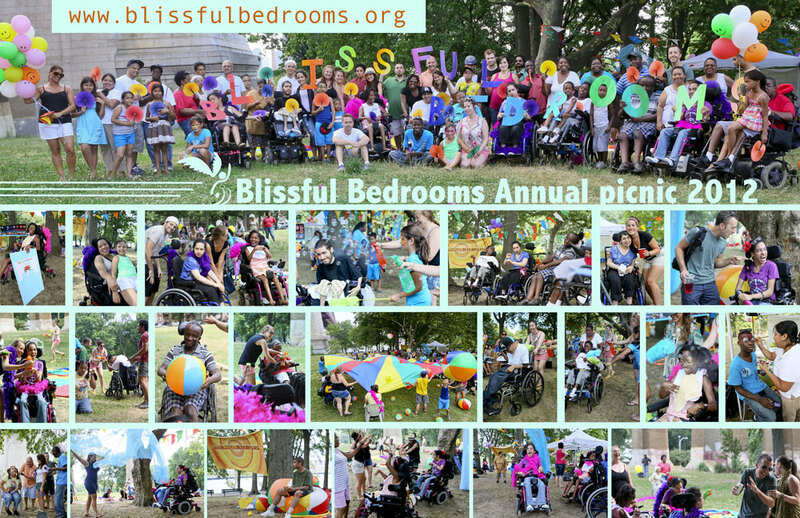 Thank you to everyone who volunteered their time and talents and made donations for the picnic. We appreciate you so very much! !